.The Telangana State Level Police Recruitment Board (TSLPRB) has released the PMT/PET Admit Card/Hall Ticket for the posts of SCT PC Civil SCT SI Civil, SCT PCs IT & C / Mechanic / Driver and SCT SI IT & C / ASI FPB. There are a total of 18428 vacancies in these categories. Schools360.in provides Complete instructions of How to Download the TSLPRB TS Police Interview Call Letter/Admit Card Intimation letter for Physical Measurement Test PMT/ Physical Efficiency Test PET. The Telangana Police PET/PMT Intimate letter can be downloaded from official Website of TSLPRB i.e., www.tslprb.in from 8AM on 8th Dec 2018 to Mid night of 15th Dec 2018. There are 3,57,823 candidates have applied for the above mentioned TS Police Department posts. And Written Test was also completed for these Jobs. The candidates who have completed the procedure of filling the Part-II (Final) Online Application are eligible to participate in Physical Measurement Test and Physical Efficiency Test (PMT / PET). It may be noted that the candidates are likely to get a chance to modify / correct the erroneous entries / uploads, if any, made by them – at an appropriate time by ‘Edit Option’ or otherwise. The TS Police Department is going to conduct PMT / PET at four venues in Hyderabad, at two venues in Warangal and at one venue each of the Districts of Karimnagar, Khammam, Mahbubnagar, Nalgonda, Sangareddy, Adilabad and Nizamabad and this process is likely to be completed within a period 35-40 working days, by the first week of February 2019. Or else, use the below link to goto the Required download page. Candidates should take the printout after downloading the Admit Card/Intimation Letter, preferably on A4 size paper. Note: Admit Card / Intimation Letter has two parts, the top portion having details of Date and Venue, Candidate Particulars and details of List of Documents to be submitted at the PMT / PET Venue must be preserved till the final conclusion of the process of Recruitment. TS Police Constable Hall Ticket 2018 is announced on September 20th, 2018. TS Police Recruitment Board announced the TS Police Constable Exam on 30th September 2018. The candidates who applied for the TS Police Constable Exam are able to download the TSLPRB Constable Hall Tickets in online. 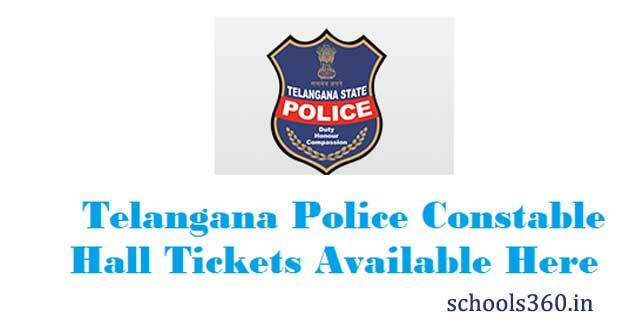 The aspirants to appear in the TS Police Constable Preliminary Exam have to download the TS Police Constable Hall Tickets in online from the official web link @ tslprb.in. The applicants who are going to attend for the written exam have to carry the TS Police Constable Hall Tickets without fail. The candidates if you fail to download the TSLPRB Constable Hall Ticket he/she will not be allowed to the examination hall. To get more details just stay on this website and get more information about TS Constable exam Date, TS Constable hall Tickets from the below sections. Latest Update: TS Police Constable Hall Tickets will be published on September 20th, 2018. Candidates download the TS Constable Hall Tickets from the link given below. Hello aspirants the TS Police Constable Hall Tickets are announced on the official web link @ www.tslprb.in. The candidates who are eligible and who are interested and who applied for the TS Constable Exam are able to check the TS Police Constable Hall Tickets from here in this web page. The authority already announced the TS Police Constable Exam date. The Exam will be going to conduct on September 30th, 2018. All the contenders who applied for this exam are able to check over here. After publishing the TSLPRB Hall Tickets please take a copy for the future reference. A huge number of aspirants who have applied can able to download the TSLPRB Hall Tickets in online from the official website given above. The authority will conduct the written exam, PST, PET. The candidates who qualified in the TS Constable written test have to participate in the further rounds. We mentioned the exam dates from the below passage. Candidates must download the TSLPRB Hall Tickets to appear for the test.